This machine is New with FULL NEW WARRANTY Call 1-800-898-0893 for live help before and after the sale! 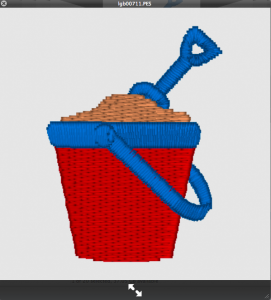 Simplicity meets functionality! 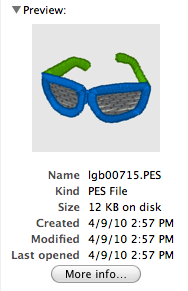 We have packaged our favorite software with our favorite machine in the All Star Package. Achieve professional results without complication and frustration that come with too many bells and whistles. We know you will be a success with this perfect combination. We are also here to help you at 1-800-898-0893. 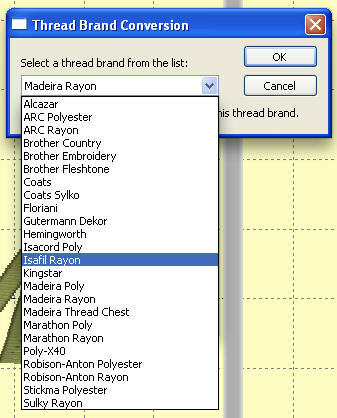 Receive a 1 CD with 1000+ Embroidery Designs and Fonts as a free gift. 4 Extra Hoops With Purchase ! OVER $250 Value! This PE-770 is the latest computerized embroidery machine that is compatible with USB Memory Sticks! Import designs up to a maximum of 5” x 7”. 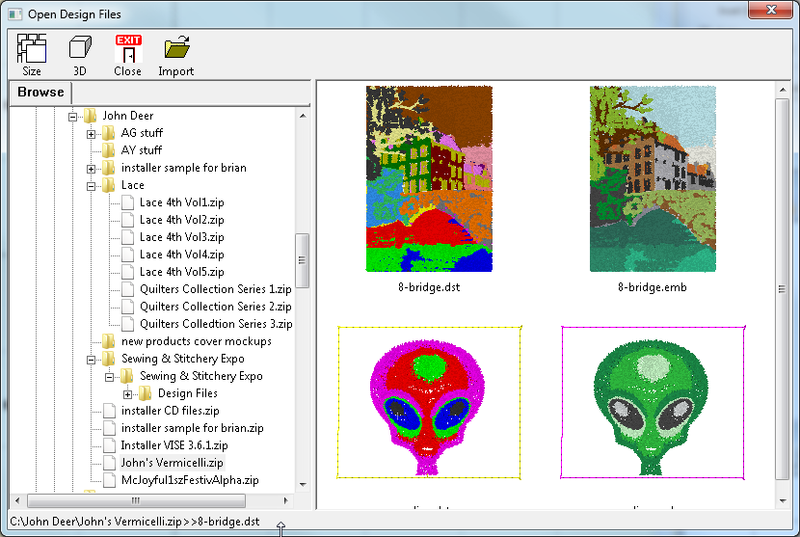 Utilize the Brother Memory Card Library for even more designs. which include delicate scroll work, intricate floral's, classic quilt patterns and so much more. 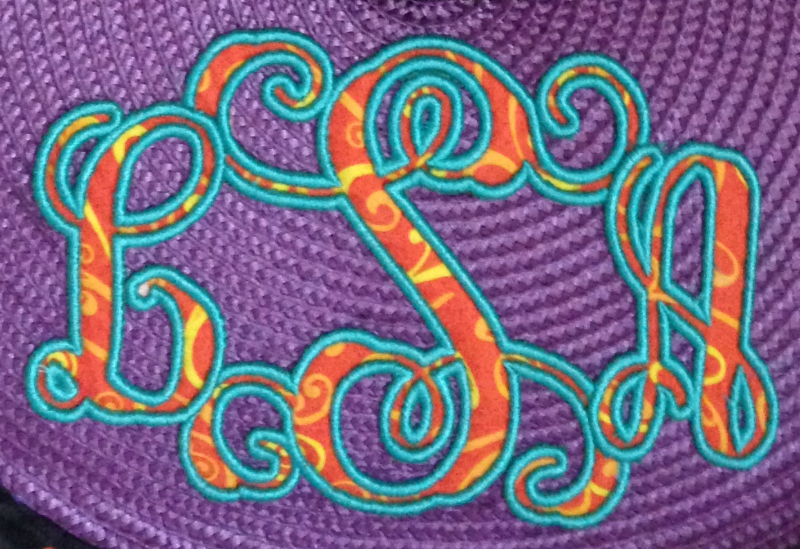 Every embroiderer needs to do some basic things. Those things should be easy and fun, not an hour long trip to the dealer for a class. And it shouldn’t cost an arm and a leg, either. And just because your computer is a Mac with OSX or a PC with Windows 8-64 doesn’t mean you should be left out! 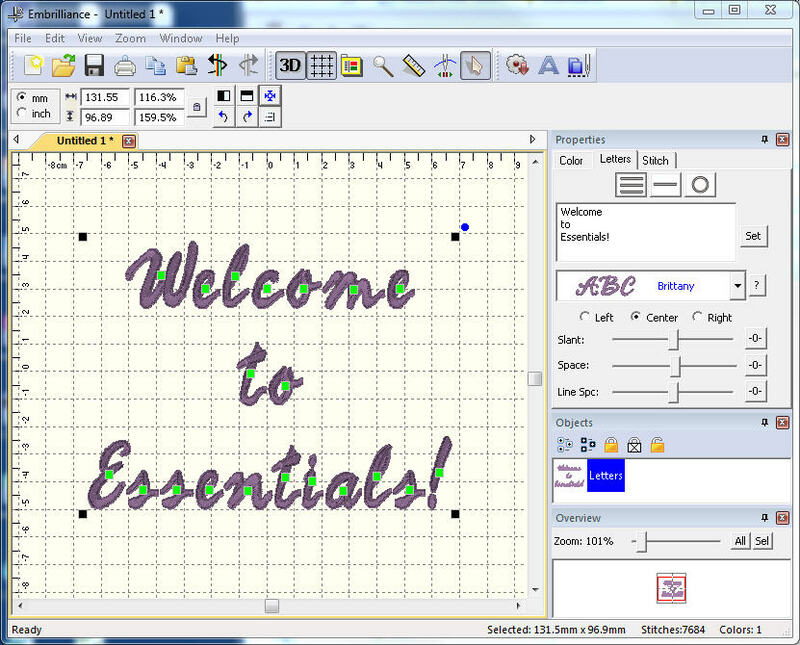 Embroidery software should be easy, fun and useful for everybody. Intel Mac OSX 10.5 and later, including Yosemite (current as of this writing). Like all our products running in the Embrilliance Platform, you get both OSX and Windows versions with your purchase. Your license lets you run it on as many computers as you own — even mix and match Mac and Windows. No dongle required. No limits to the number of installs. And as you add products, just add the serial number to the program, and all the features are there in one program, easy to use. Want more fonts? Check out Font Collection 1! 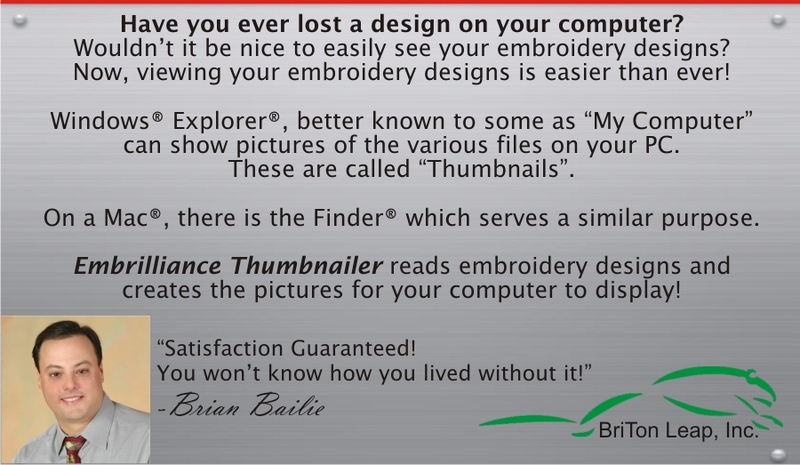 Thumbnailer works on Intel Macs using OSX 10.5 and above (up to Yosemite as of this writing).